A judge ordered work on the mine in Somerset, Colo., to stop after concluding the Obama administration had conducted a flawed analysis of its impact. SOMERSET, Colo. — The desolate stretch of Highway 133 crests a Rocky Mountain pass and settles into a valley where some of the world’s most valuable coal is located — and the landowner is the US taxpayer. If there is a “war on coal” by President Obama, as his critics say, then this might be a place to wage it. Obama has, after all, approved regulations designed to cut global-warming carbon emissions by nearly one-third, and he is preparing to attend a Sept. 23 United Nations climate summit at which he will renew his call for world action to fight climate change. But here in the Rockies and across much of the West, Obama may be the coal industry’s critical, if unlikely, ally. The administration has rejected calls to place a moratorium on leasing public land to mining firms — even though such leases account for 40 percent of coal mined in the United States. Nor is the administration much interested in blocking exports of coal from such leases to countries where it could be burned without antipollution controls. Or in significantly raising the price of the billions of tons of publicly owned coal now sold at what critics consider bargain rates. It is here in the Rockies where the contradiction may be most clear. In a key case involving land around Somerset, a federal judge ruled in June that the Obama administration, allying itself with the nation’s second-largest coal firm, had failed to even take into account the “social cost of carbon” when calculating the value of the coal lease. He put the lease on hold, and environmentalists promptly prepared lawsuits designed to stop the entire lease program. Now, as the administration decides whether to appeal the case, the pressure on Obama is intense. Environmentalists want Obama to take action ahead of his appearance at the UN climate summit. But the administration is reluctant to take another major move against coal before November’s midterm election for fear of hurting coal-state Democrats. The coal industry, meanwhile, fears the loss of publicly owned land for mining would be devastating. It has already suffered from the advent of hydraulic-fracturing technology, which has unleashed a boom in natural gas. From 2002 to 2012, electricity produced by coal dropped by one-fourth, while electricity produced by natural gas nearly doubled, according to the US Energy Information Administration. While about 40 percent of the nation’s energy still comes from coal, with an uptick last year, the long-term trend is downward. Massachusetts, for example, is expected to see its last coal plant shut by 2017. To make up for fluctuating demand in the United States, the coal industry has looked abroad. Exports have tripled to about 12 percent of total output in the past decade, and the industry now is battling environmentalists over efforts to expand seaports in ways that allow much greater shipments. Yet with far less fanfare, 17 days after the regulations were issued, a scene unfolded in a Denver courtroom that would have surprised those who believed Obama a coal industry foe. The company had said months earlier that it had exported half of the coal from an adjacent mine — also located on public lands — to Europe, Latin America, and Asia, noting it had opened its first office in Beijing last year. Exporting coal would be “a key driver for the company,” Arch chief executive John W. Eaves said in a February 2014 conference call with analysts. Company officials subsequently said one-third of the 6 million tons shipped this year from the Somerset facility would be exported. Arch had a powerful ally. Sitting at the same table in the courtroom were lawyers for the Obama administration, representing various agencies that had authorized the lease deal, including the Bureau of Land Management and the Department of the Interior. Now WildEarth Guardians had the kind of high-profile face-off it had been looking for in the joint opposition of Arch Coal and the Obama administration. Zukoski said in an interview he was not surprised the Obama administration and Arch Coal had joined together on the case, although he said it doubtless would be a shock to outsiders. 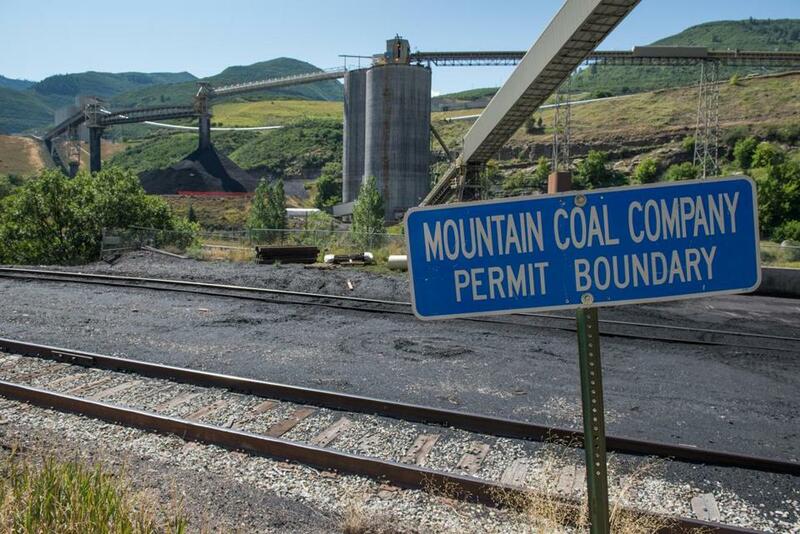 “If people think there’s a ‘war on coal,’ come out to Colorado, where mining of federal lands is permitted by federal agencies, often at low, low prices,” Zukoski said. The land at issue in the case is a tract on the western side of 12,700-foot Mount Gunnison. In addition to road-building to get access to the land, Arch was given the right to build dozens of drilling pads and construct vents through which methane would be released into the air. The methane has to be removed to make it safe for miners to enter. The central issue in the case was why the Obama administration had failed to account for the impact of global warming from the coal lease, sometimes known as the social cost of carbon. A key piece of evidence worked in favor of the environmentalist legal team. A Bureau of Land Management economist had written an e-mail that said “placing quantitative values on greenhouse gas emissions is still controversial.” He wrote that estimates on the impact of methane emissions, which routinely occur during mining, ranged anywhere from $5 to $800 per ton of coal. Rather than strike a middle ground, as it often does in calculating the cost-benefit analysis, the bureau opted to leave out the “carbon cost,” while including the positive economic impact of mining. US District Judge R. Brooke Jackson sounded stunned by the government’s actions. But the Obama administration’s lawyer, David Glazer, stood with Arch Coal. Glazer told Jackson that the government should not “monetize” the impact of global warming. “Doesn’t somebody sometime need to take very seriously what the effect that these greenhouse gases is on the world that we live in?” the judge asked Glazer. Glazer sought to shift the blame away from the administration. Congress, of course, had failed to pass legislation to control greenhouse gases, which is what prompted the Obama administration to maneuver around the congressional inaction by issuing regulations to cut carbon emissions. In the end, Glazer and the Obama administration lost the case. Glazer did not respond to a request for comment. The government “prepared half of a cost-benefit analysis, incorrectly claimed that it was impossible to quantify the [carbon] costs, and then relied on the anticipated benefits to approve the project,” Jackson wrote. He ordered that work on the mine be suspended. Slone said that while only a small amount of coal from public lands currently is exported, “we aspire to increase our participation in international markets over time.” What doesn’t make sense, Slone said, is imposing “imprudent and unwise” regulations to cut carbon emissions. He said “technology is the answer to addressing climate concerns,” referring to efforts to capture carbon emissions and store them underground, which is being tried at a number of sites around the world. The case, while receiving little national notice, has shaken the coal industry and the Obama administration. As the White House decides whether to appeal, environmental groups are planning to launch lawsuits against the Obama administration in an effort to stop much larger leases in Wyoming and Montana. That is exactly what alarms the coal industry. A few miles down Highway 133 from the Arch Coal site in Somerset, the superstructure of an idle mining operation owned by Oxbow Mining rises at a bend in the road. Oxbow has a famous owner: William Koch, who has a sprawling mansion in Osterville, Mass., where he has long fought local plans to build offshore wind turbines. Koch’s two brothers, David and Charles, have become well known for spending millions of dollars on conservative causes. 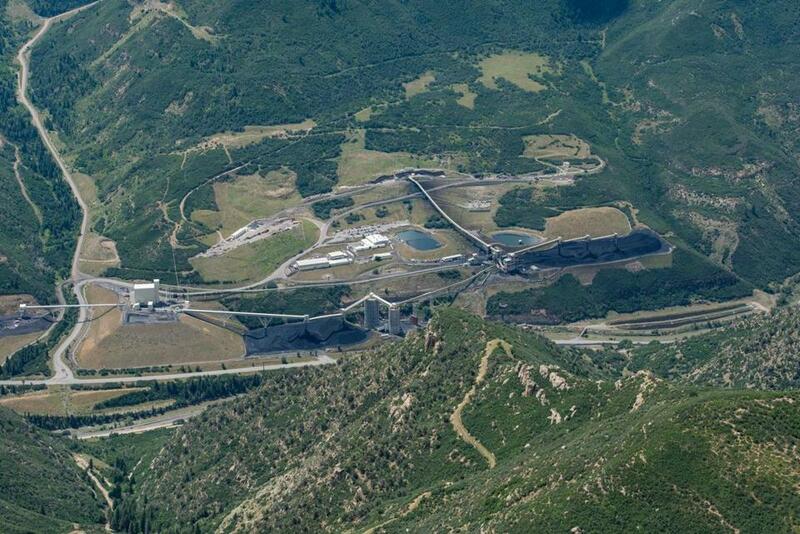 Bill Koch has long benefited from Oxbow’s ability to lease public lands for coal mining; 90 percent of the coal mined at Oxbow came from public lands. But two years ago, the air inside the mine became too dangerous for miners to breathe. The mine was shut down and more than 340 jobs were lost. Still, Koch hopes to reopen a portion of the mine, applying for a lease on adjacent publicly owned lands. Koch declined an interview request, but Mike Ludlow, the president of Oxbow Mining, criticized environmentalists who are trying to hold up leases based on the climate-change impact. Koch spokesman Brad Goldstein said it is environmental groups that have outsized impact, not coal companies. “We certainly don’t have the influence of the Sierra Club or people there on the other side lobbying, spending hundreds of millions of dollars,” Goldstein said. 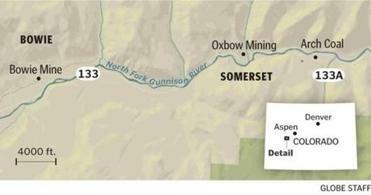 Arch Coal has said it would export about 2 milion tons of coal from its Somerset mine. However, some countries do not regulate carbon emissions. A few more twists in Highway 133 and the traveler comes to the last of the three major mines in the Somerset area, this one owned by a Kentucky company called Bowie Resource Partners. As it happens, Bowie is the company that has most recently sought a lease of public land for coal mining, providing the latest test of whether the Obama administration will modify its program to account for the impact of climate change. Bowie’s request to lease a 1,790-acre tract was heard on July 30 in a second-floor conference room of the Colorado headquarters of the federal Bureau of Land Management near Denver. Bowie said it would pay $2.9 million to extract 8 million tons of coal, placing the value at 36 cents per ton. Bureau officials took less than four hours to announce that it had accepted the bid as fair market value. The company said in a statement that it “paid a fair market value” to obtain the lease and will pay “millions of dollars in incremental taxes and royalties to the Federal and State Governments over the next several years.” It did not address questions about climate change. In a press release, the Bureau of Land Management said it had issued a “competitive coal lease” without mentioning there had been no other bids. It added that a “variety of mitigation measures” had been taken to address environmental concerns, including the protection of scenic rivers, endangered species, and vegetation. “These protections will help ensure that coal mining in the area continues to be conducted in an environmentally sensitive manner,” the statement said. That is the kind of statement that had irked the judge in the Arch Coal case, but it remains the position of the Obama administration. Markey, meanwhile, spent most of the summer awaiting word from the Interior Department about his February request to put a moratorium on coal leases. It was not the first time he had made such a request. Thirty-two years earlier, when he was in his third term as the representative from Malden, Markey helped engineer a three-year moratorium amid accusations that the coal was being sold far too cheaply. Fast-forward to this year, and Markey said little has changed. The annual rent for coal lands is still $3 an acre, with terms enabling a company to control the property for 20 years. (Bidders also pay an upfront fee that varies according to a tract’s size, and they pay an 8.5 to 12.5 percent royalty to the government if they mine the land. The payments are split between a state where the land is located and the federal government.). Most leases are still purchased by a lone bidder. But what does “environmentally safe manner” mean? Does it apply only to mining the coal, or to the global-warming emissions that occur when it is burned, the so-called “social cost” of carbon emissions? The Interior Department declined to address the question. “To the social cost of carbon in general, the Dept does not have any further guidance to report out on at this time apart from what we previously provided on the matter of coal in general,” Kershaw wrote in an e-mail. Ned Farquhar, who served as the Interior Department deputy assistant secretary for land and minerals management from 2009 until last April, saw the battle of coal leases play out at the highest levels. He said in an interview that the administration should stop allowing land to be leased for coal mining if the product ends up being shipped to countries that don’t control global-warming gases. Markey said he is frustrated that he has had less success with his supposed allies in the Obama administration than he did during the Reagan era.